Why Hire Clear Water Plumbing & Heating? We offer plumbing services and are licensed plumbers in Louisburg, Rolesville, Youngsville, Bunn, Wake Forest, Raleigh, Durham and more. We guarantee you will be 100% satisfied! We are listed with the Better Business Bureau with an A rating and no complaints. Services not in our Straight Forward Pricing manual or more complex jobs that may require a site visit or estimate, are billed based on a time and materials chart. We are very affordable and provide clear and up-front pricing with your approval before any work is preformed. Senior citizen and multiple repair discounts. 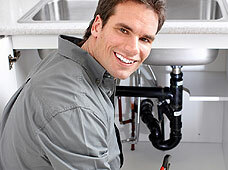 Experienced all aspects of residential plumbing, commercial plumbing, service and new construction. Quality plumbing service with a personal touch - without the "big company" price. Your calls will be answered by the owner himself! (919) 247-8085 to schedule an appointment! 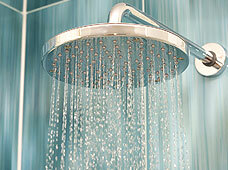 Clear Water Plumbing and Heating is located in Louisburg, NC and offers plumbing and heating services. We are an owner operated small business. All work is preformed by master technician Tim Connor who has almost 20 years experience. Our plumbing service areas include Louisburg, Youngsville, Bunn, Rolesville, Wake Forest, Raleigh, Durham, RTP and surrounding areas. With close to 20 years of experience, Owner Tim Connor's background training and numerous certifications include Boces Technical School for Advanced Heating and Controls, Submersible well pump and seal exemption, Rinnai tankless water heater install training, Propane appliance and service tech certification, Coble trench excavation and confined space training, Nora Silver certified oil heat technician, Backflow tester, medical gas installer and more.